"The Salesman" director Asghar Farhadi. Taraneh Alidoosti as the character Rana in "The Salesman" directed by Asghar Farhadi. 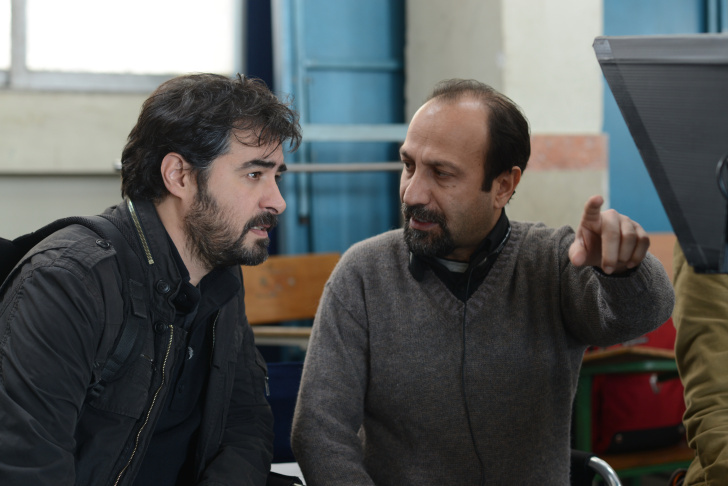 Actor Shahab Hosseini (left) and "The Salesman" director, Asghar Farhadi. When the Iranian movie “The Salesman” won the Academy Award for Best Foreign Language film Sunday night, filmmaker Asghar Farhadi was not there to accept it in person. Instead he sent a message that the Iranian scientist and entrepreneur Anousheh Ansari gave on his behalf. "I'm sorry I'm not with you tonight. My absence is out of respect for the people of my country and those of other six nations whom have been disrespected by the inhumane law that bans entry of immigrants to the US." He skipped the Academy Awards in solidarity with the people of Iran and the residents of other majority-muslim countries who were barred by President Trump’s order from coming to the United States. Late last year Farhadi spoke to The Frame when he was in Los Angeles to promote "The Salesman." It was in the days immediately following the election of Donald Trump but well before his travel ban was put in place. The most important thing that I can say is human beings of different colors, races, religions are far more similar to each other than they are different. And that it would behoove him to focus on their similarities. 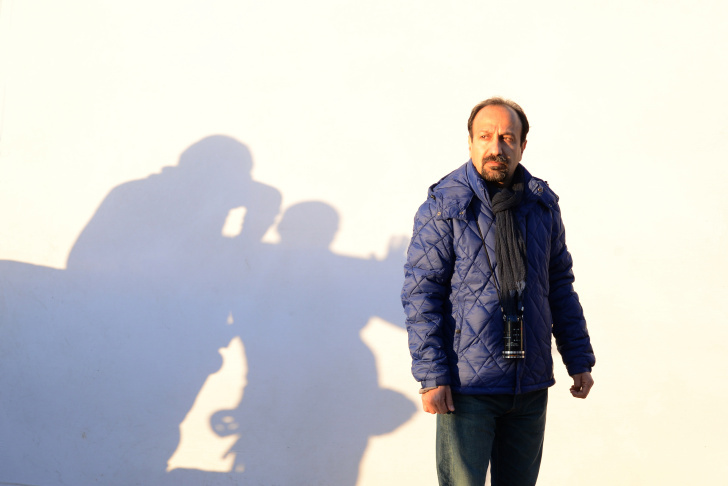 Farhadi's filmmaking is imbued with empathy, so it's not surprising that he'd encourage Donald Trump – or anyone for that matter – to find similarities among our differences. The main characters in “The Salesman” are actors in a theater troupe that’s putting on a production of Arthur Miller’s “Death of a Salesman." At one point, a woman named Rana is assaulted by an intruder. It’s not shown what happens or who did it. The rest of the film is an effort by Rana and her husband to not only restore some normalcy to their lives but also his attempt to track down her attacker. Along the way, the movie explores cultural ideas about gender and sexuality. Farhadi speaks English but is much more conversant in Farsi. His answers have been translated by Dorna Khazeni. Click the play button at the top of the page to hear the conversation. Highlights are below. The people of Iran have a great deal of information about the people of America, as opposed to the people of America, who know very little about the people of Iran. I had to spend a few hours at the airport in Tehran [recently] and I was watching people at the airport. And I realized that they were all intently watching all the TV monitors and they were all looking at their mobiles, following the election news from America. This is actually a very positive curiosity, to want to know one another. But not through the media. In Iran, Arthur Miller is extremely well-known. 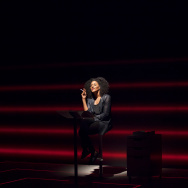 Other American writers and playwrights are extremely well-known, as are American filmmakers. Maybe one reason for this is, since the politicians are warring with each other, the people have — on the contrary — tried to find a way of approaching each other. 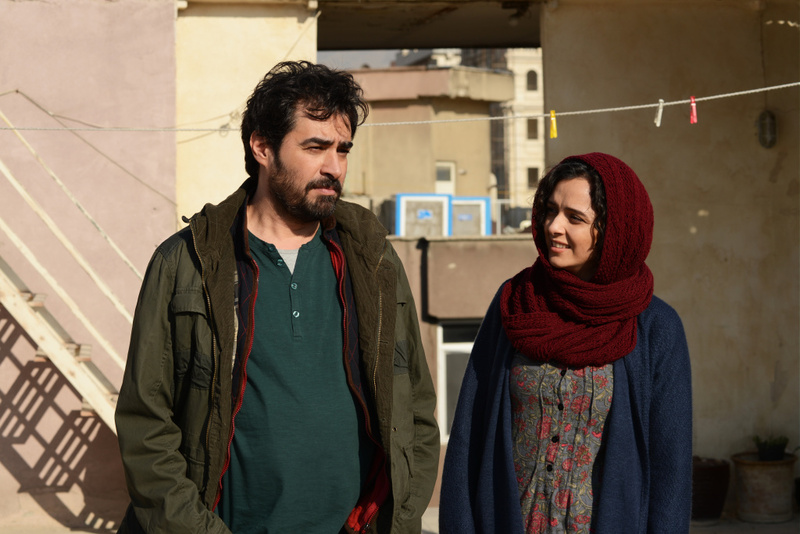 Shahab Hosseini as Emad and Taraneh Alidoosti as Rana in "The Salesman," directed by Asghar Farhadi. What has occurred — the phenomenon — is that the picture they have of Iran has to do with Iranian politics, and they impose that on the notion of the people of Iran. But these are two very different images. The people are utterly different. It is my belief that each film has the capacity to show a small section of the society in which it's made to the rest of the world. Of course, this is a relative picture of that society. But with a number of films, you can arrive at a multidimensional, fuller picture of that society. A certain number of commercial films get made that are just for pure entertainment. They rarely have problems. 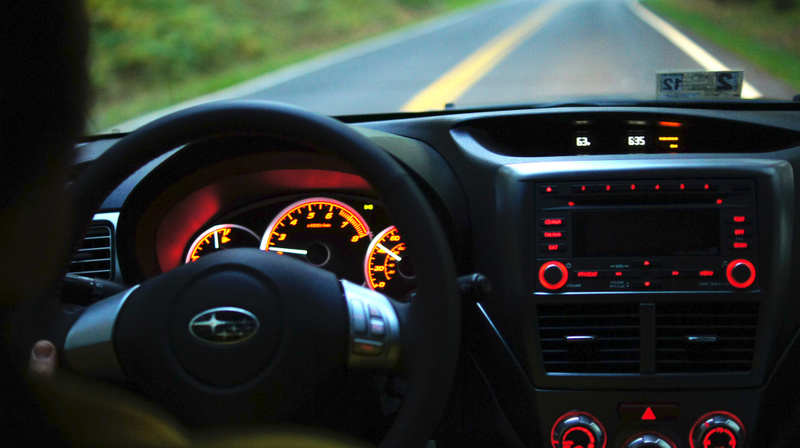 There are a number of independent films that are made, as well. Some of them meet with some difficulties. This is a challenge between the filmmakers, vis-a-vis the system, to make the film that they have in mind in spite of the limitations. These very limitations have resulted in the filmmakers developing a very unique language over the years that stands out compared to films made elsewhere. Just by way of example, in [my] film, I could not have shown the scene with Rana in the shower and the man entering. But, unconsciously, by virtue of not being able to show that scene, it turned into my discovering a new film language. This is not meant as approbation of the limitations. In the long-term, limitations are always going to destroy creativity. But we can't deny that it has also led to some original filmmaking. 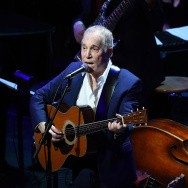 What’s really interesting is that the feedback I’ve received from audiences in Iran and in America are extremely similar, but they don’t resemble the feedback I’ve received from audiences in Europe. This is something I could have guessed might happen, because in emotional terms these two peoples resemble each other enormously. In Europe when they see this film they watch it as an audience, but in Iran and in America when they see this film they can see themselves in the film. I’ve always said that where these two cultures are concerned on the emotional plain, their similarities are far greater than their differences. Or get The Frame podcast on iTunes. This story has been updated.